An innovative and transformational leader, ‘Funmilayo Omo brings over 25 years of experience and a proven track record of success into her role as the Managing Director ofAfrican Alliance Plc. She began her professional career in 1991 at African Alliance, before it was listed on the Nigerian Stock Exchange, as the Head of Department, Individual Business. Her drive and penchant for excellence led to her promotion to the position, Head of Technical, Insurance Operations, where she successfully led the retail marketing team to expand the business volume by over 1000%. Following that, she rose to the position of the Chief Operating Officer in 2006, where she was solely responsible for providing strategic direction for the company’s business operations. In 2012, Funmilayo resumed the position of Executive Director, Operations at African Alliance Plc, overseeing an 80-staff team comprising of three departments. There, she doubled the gross premium income of the company within 3 years. During the period, she pioneered the design of the annuity products of the company boosting the annuity product range of African Alliance Plc to become a top-3 market player in the industry. She was credited for championing the design of the life administration application and supervising the transition of African Alliance Plc from semi-automated application usage to fully automated management; a change that saved the company countless man hours, thereby improving efficiency and turnaround time. As an innovative leader with a keen insight into the insurance market terrain, Funmilayo pioneered the design, modelling and marketing of Takaful in African Alliance Plc as the pioneer family Takaful Office in Nigeria. She also developed and successfully launched micro insurance as a Strategic Business Unit in African Alliance Plc. In addition to her BSc. (Hons.) 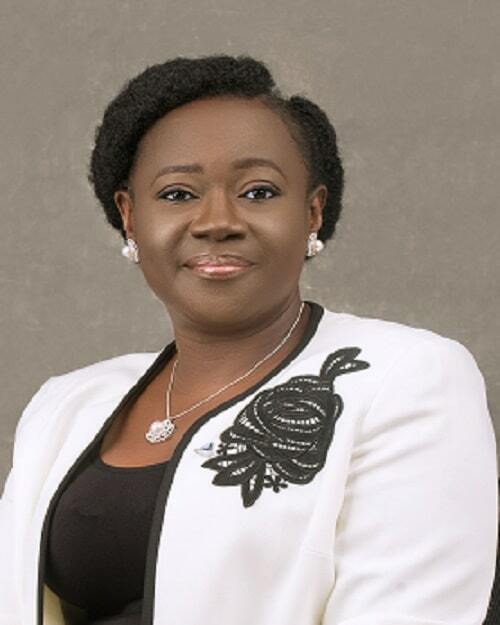 degree in Insurance from the University of Lagos, Funmilayo is an Associate Member of the prestigious Chartered Institute of Insurance, London, an Associate Member of the Nigerian Institute of Management and an Associate Member of the Certified Pensions Institute of Nigeria. She is an alumnus of the Lagos Business School and the China Europe International Business School (CEIBS). Funmilayo served on the Board of Trustees, Ajaokuta Steel Complex, Axiom Air and National Iron Ore Mining Company (NIOMCO) until 2016. She currently serves on the board of Frenchies Food, as well as on the board of PAL Pensions Alliance, an associate of African Alliance Plc. With over 25 years of experience, Mrs. Olabisi A. Adekola currently serves as the Executive Director and Head of the Finance Department at African Alliance Insurance Plc. She began her career in 1990 as a Data Entry Officer at Nigerian Hoeschst Plc. She served in various capacities within the finance unit prior to joining African Alliance Insurance Plc in 1997 as an Assistant Superintendent in the Finance Department. In 2000, Olabisi was awarded the Best Staff of the Year in recognition of her performance in the company. Since then, she has excelled at various levels within African Alliance Insurance Plc. 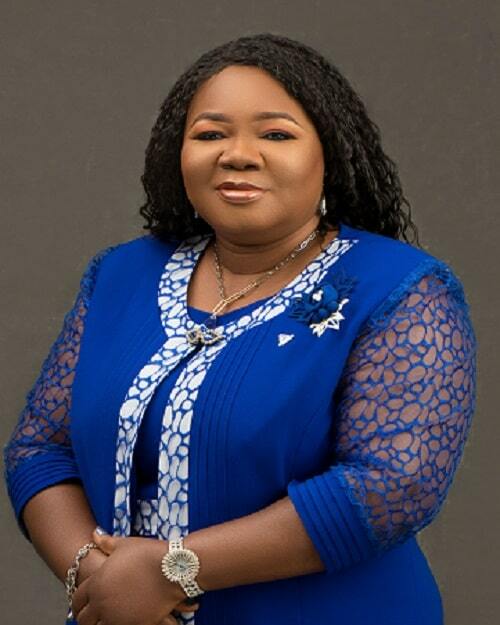 Olabisi holds an MBA in Financial Management from the Lagos State University, as well as HND and National Diploma in Business Administration from the Federal Polytechnic, Ilaro. She is a Fellow of the Institute of Chartered Accountants of Nigeria (FCA), Associate Member, The Chartered Institute of Taxation of Nigeria (ACTI) and Associate Member, Institute of Chartered Accountants of Nigeria (ACA), among many others. 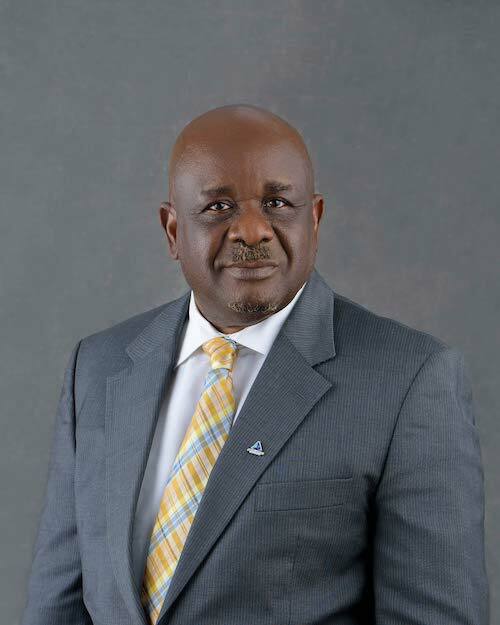 Anthony C. Okocha is a seasoned banker with over 30 years of experience in banking, commerce and business advisory. Prior to his career in banking, he worked at Standard Organisation of Nigeria (SON) in the early eighties, Longman Nigeria Limited and Finance and Leasing Limited. He was one of the pioneer team members of First Marina Trust Limited where he was involved in the strategic direction of the company’s leasing activities. He rose swiftly in his career to become the Acting Managing Director of the then IMB International Bank Plc in 2005 before it merged with 3 other Banks (First Atlantic Bank Plc, Inland Bank Plc & NUB International Bank Plc) to form First Inland Bank Plc.He also worked in EcoBank, Equitorial Trust Bank Limited, Citizens International and Fin Bank, where he resigned to join Forbs Investment Solutions Limited as its pioneer Managing Director/Chief Executive Officer. During his banking career, Tony attended several management and leadership courses local and internationally. He is an alumnus of the Universities of Ife and Lagos, as well as Columbia University, New York. A Fellow of the Institute of Credit Administration of Nigeria and Senior Honorary Member of the Chartered Institute of Bankers of Nigeria, Tony currently sits on the boards of Universal Insurance Plc, African Alliance Insurance Plc and Stoma Bakery Limited.